Divadend was the result of many years of planning. We were thrilled to get a Cash daughter (Bonnie) out of Sonara when we first started our dairy. Meeting Linda Shuls of Timber Cove was the highlight of our trip to the ADGA Convention in Idaho. She kindly shared some of Cash with us. We AI'd his granddaughter Sumthin' with success and this resulted in Divadend. What a treasure! 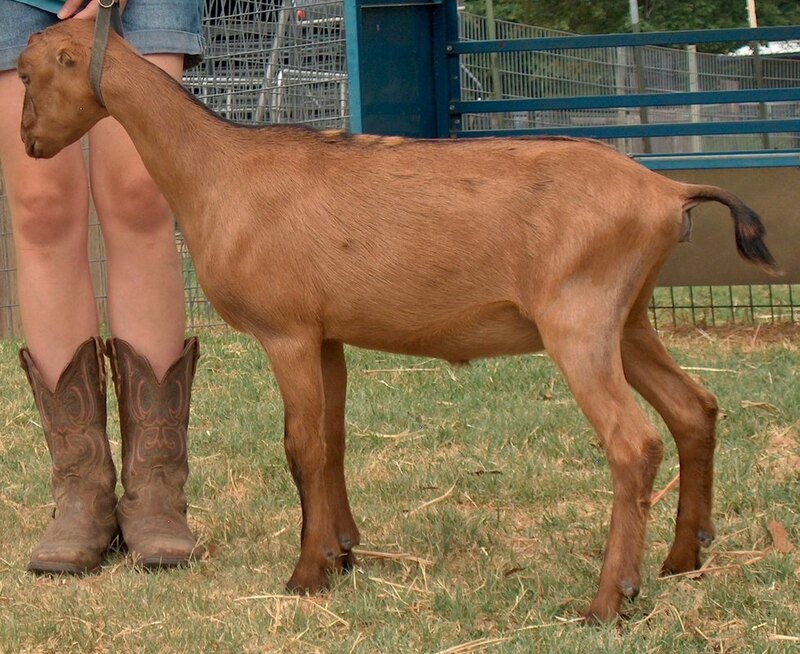 She has her junior leg and we are excited to see the mammary on this girl ! 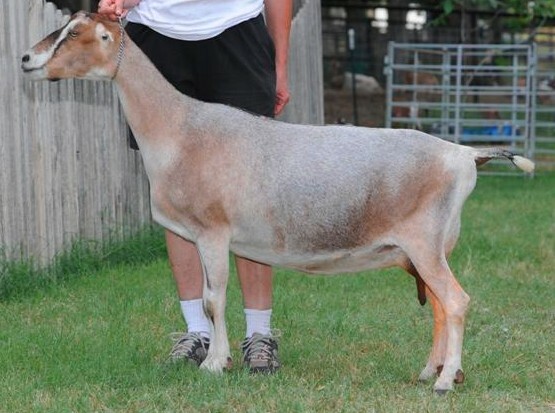 Her dam Sumthin was Best Doe in Show and Best Udder at the 2015 Fort Worth Stock Show two days in a row, following in what is now a family tradition of three generations of success at the Stock Show. 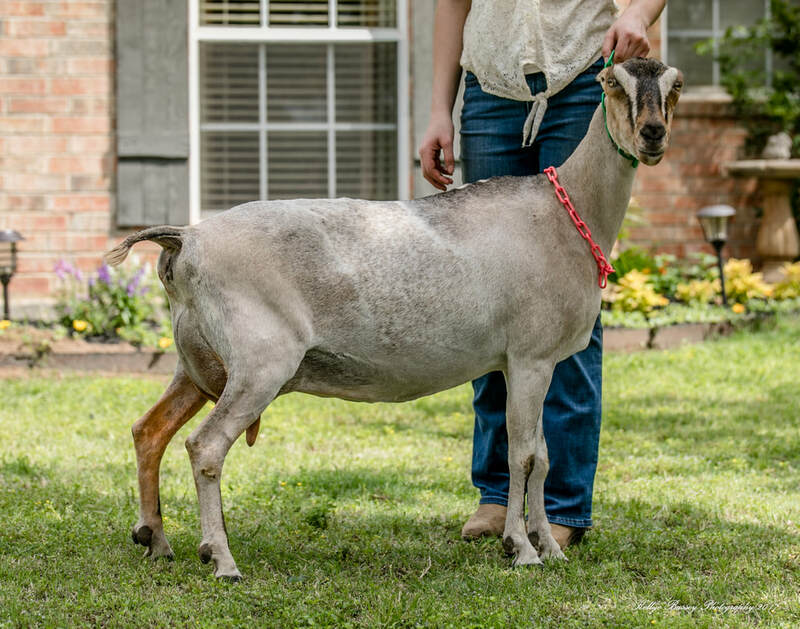 ​In 2017 Divadend finished her GCH, gave us a beautiful doeling (out of Cooper) Jewel who already has her junior leg!